The reasons for this are security concerns from Oracle side and the currently only remaining alternative, is to use BI Publisher in cases of direct database access (as confirmed in the community discussion by Oracle, this method will not be restricted). 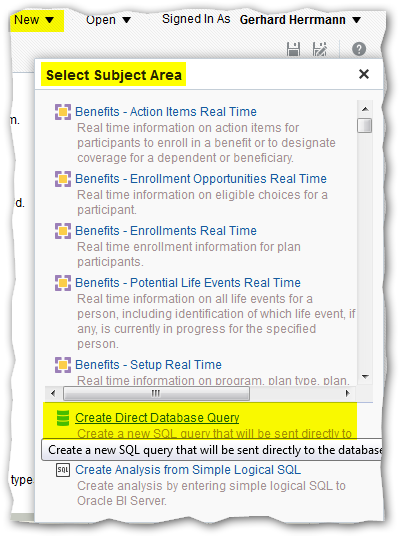 How to create a direct database access is also described in a previous post. A strange Issue exists with OTBI in terms of Report prompts. 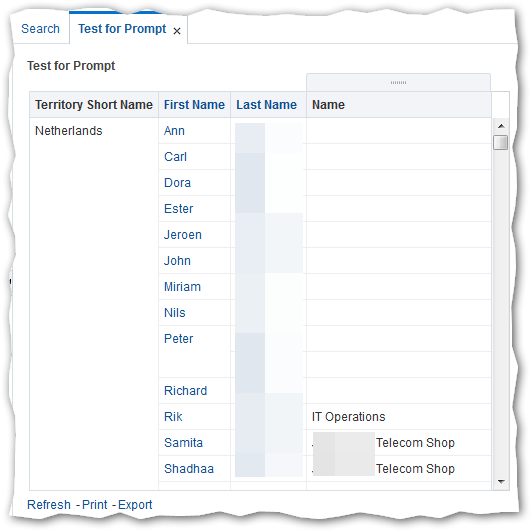 If a User adds a prompt directly within the Report, the prompts appear correctly within BI Answers. 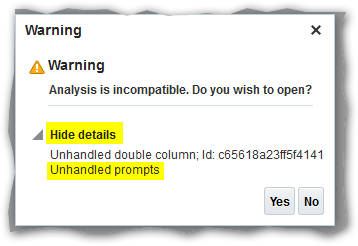 However, if the same Report is opened from within Oracle Cloud, the prompts are not shown to the User. 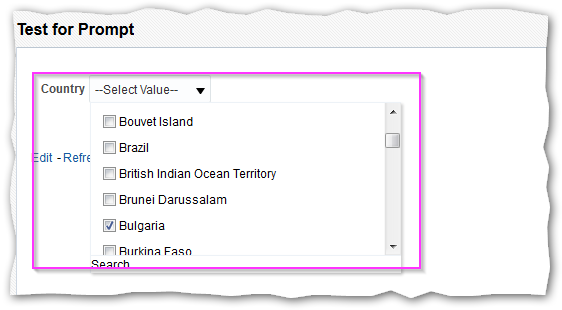 How to create a direct database query with OTBI? 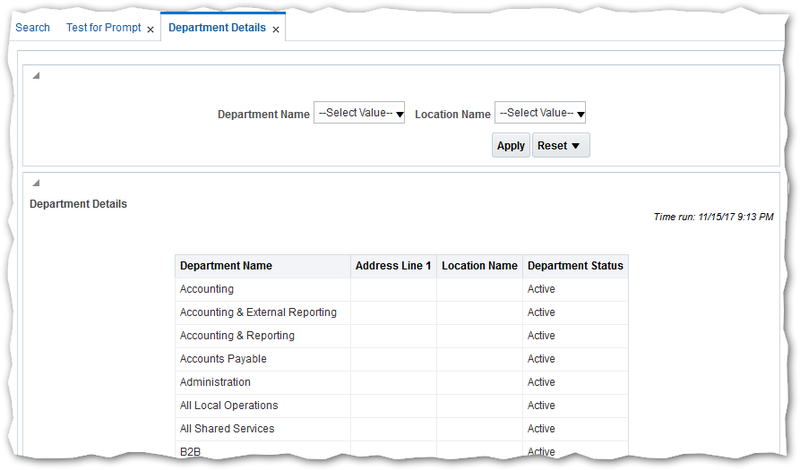 To grant the User “OTBIUser” access requires to follow the TechNote (Oracle Fusion BI: How to Add the BI Administrator Role to a user in Release 12. 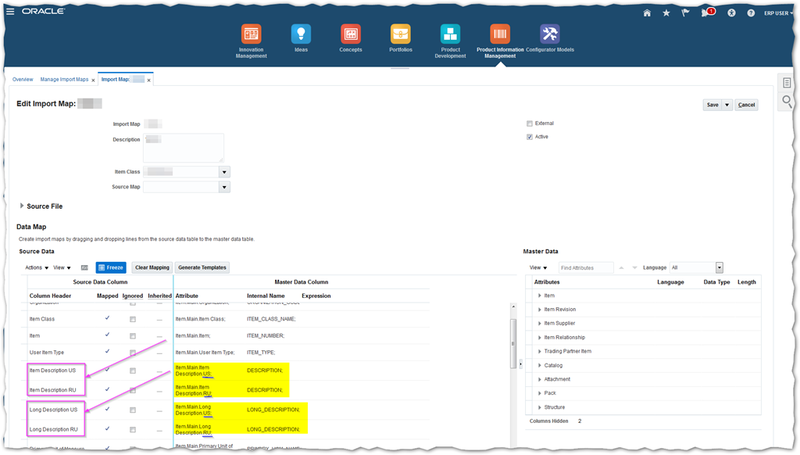 (Doc ID 2238277.1) from Fusion Application Cloud R12 and onwards as the standard BI Roles (such as BI Author or BI Consumer) can’t be assigned to Users directly any more. Instead, it is required to create a custom Role based on the standard (OOTB) Role and assign those custom role to the User to act e.g. as BI Administrator. After the User has received the role, an Administrator must run the “Retrieve Latest LDAP Changes” ESS Job to reflect these changes. This process may actually take up to 8 hrs. for the changes to take effect.